If you’re looking for the best way to fix your credit, you should read this article. Below, we have put together everything you need to know about rebuilding your credit. From checking your credit score, down to disputing false charges on your credit report, we give you everything you need to know. We even show you how to manage your revolving credit. And the best part is, we also offer a team of case managers with hands-on financial experience. Take a moment to find out everything you need to know about re-establishing your credit. Once you’re done, give us a call and let us help you. Staying on top of your credit score is a smart move. It helps you see where your credit stands, and what you need to fix. Checking your credit score also enables you to see if your credit score is improving. A smart way to stay on top of your credit score is with an intelligent credit app. Some of the best free credit apps are Credit Karma, Experian, Credit Wise, TransUnion, and Credit.com. One of the best ways to build your credit is to pay your bills on time. Your credit payment history makes up more than 35% of your credit score. Making a single late payment can be enough to drop your credit score. Over time your on-time payments will benefit you. If you have made late payments the past, they will eventually fall off of your credit score. After drug and alcohol rehab people recovering from addiction should consider transitioning back into the workforce. Even if it means finding a new career that supports your sobriety. We recommend seeking a job that offers a sober environment with likeminded people. You also want to make sure that you find a job that sets you up for success and gives you more room to grow. In doing so, you will be able to save more money to pay off your credit debt. As a result, paying off your credit debt will help you raise your credit score. Once you find a job with an affordable income, it’s time to set aside a budget to pay your debts. You need to make sure that your budget is realistic, and that you can stick to it. You should also make sure that you are setting aside enough money for yourself. As we all know, your health is your wealth. With this in mind, you should also set aside enough money for your social life, and so you can spend time on your mental health. Each of factor is important because they help you maintain a steady balance. And balance is the key to a successful sober lifestyle. 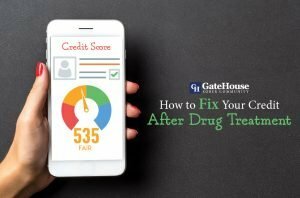 If you find any inaccurate charges on your credit report, federal law allows you to dispute credit report errors with the credit bureau. You as can argue as many mistakes as you credit report as you fit. But remember, you must provide evidence that you are not responsible for any false charges. You can also file a second dispute if your first argument didn’t hold up. However, you must provide new evidence. In the process, you must also submit a dispute with each credit bureau. If you don’t, your credit score will suffer. After drug and alcohol recovery, you should consider keeping your credit cards open. Even if you have paid them off. Maintaining a low credit utilization ratio enhances your chances of boosting your credit score. At the same time, managing a longer credit history improves your credit score. On top of that, sustaining a favorable credit utilization ratio enables you to access more credit. Henceforth, if you’re an entrepreneur, you can seek out investors if you have a high credit score. If you’re looking for the best way to fix your credit score, start with paying off your debts and keeping your balances low. By paying off your debts, you can relieve yourself from extra stress. You also decrease your debt-to-income-ratio. In the process, this also helps you prove to credit lenders that you know how to manage your debt. At the same time, paying off your debts and keeping your balances gives you more credit. The ultimate goal is to live debt free without struggling with a low credit score. 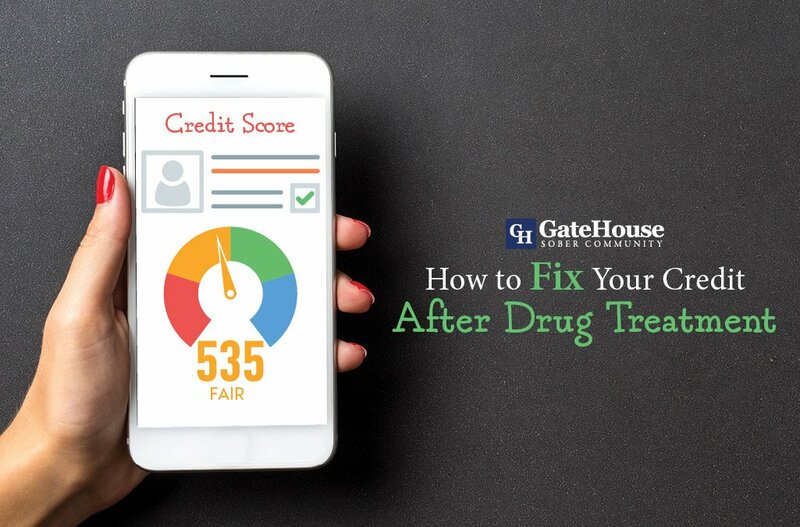 Becoming an authorized user is a simple and effective way to raise your credit score after drug and alcohol rehabilitation. In essence, an authorized user enables you to become a user of another person’s credit line. Ultimately, this tells credit agencies that you are trustworthy. Over time, your authorized user status will appear on your credit score. But keep in mind, you should choose wisely about how you decide to become an authorized user. If the credit card holder that you’re planning on partnering with falls behind on their credit, your credit score will also decrease. If you’re still reading this, we’re going to assume to that your ready to fix your credit score. But, you still need help finding the right solution. With this in mind, our Gatehouse Sober Community Case Manager’s are ready to help you get your life back on track. Let us show you how to rebuild your credit and develop financial stability in your own life. Give us a chance to help you make a difference in your life. Contact us today at 855-448-3638.